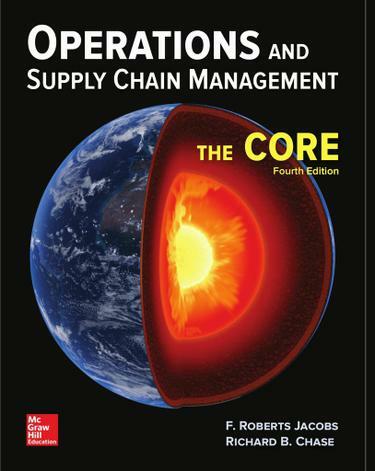 The forth edition of Operations and Supply Chain Management: The Core focuses on the important “core” concepts in the dynamic field of operations. Just as lava flows from the core of the earth operations and supply chain management is the core of business. Material must flow through supply chain processes to create cash output and input. This new edition has an increased focus on supply chain analytics involving the analysis of data to better solve business problems.Connect is the only integrated learning system that empowers students by continuously adapting to deliver precisely what they need when they need it and how they need it so that your class time is more engaging and effective.